Volkswagen's I.D. 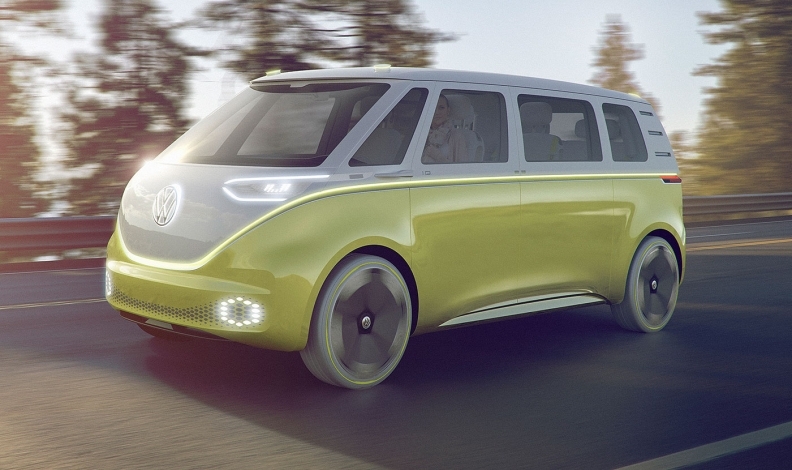 Buzz is a take on the classic VW Microbus of the '50s and '60s. Christiaan Hetzner is Automotive News Europe's Germany correspondent. It will take another five years but fans of the classic VW Bus can finally look forward to a return of the model, sources at Volkswagen confirm. VW brand chief Herbert Diess is a fan of the Bus-styled I.D. Buzz concept, in part because the predecessor is a feel-good throwback to the days when VW stood for flower power, not toxic pollutants. The original "T1" Microbus that began life in 1950, technically called the Transporter but known in Germany as the Bulli, is one of those few VW models that comes to define a segment or even a generation much like the Beetle or the Golf. One of the designers on the I.D. Buzz project even claimed the VW Bus holds the record for the most often sold toy car and the Samba version is a collector's item for classic car enthusiasts. So while the I.D. hatchback first shown at last year's Paris auto show is the new Golf for the next decade, this Buzz concept embodies the characteristics of a post-Dieselgate "New Volkswagen" better than any model shown since the scandal broke late 2015. Its design evokes a modern purity with a clean dashboard purged of the usual console equipment in favor of a single central control tablet and a windshield that boasts an embedded augmented reality display. The greenhouse, larger than that of normal minivans, emphasizes transparency with plenty of natural light thanks to the large glass side windows and a massive skyroof. Emissions are zero thanks to its pure electric drive powered by a 111 kilowatt-hour lithium-ion battery, bigger than the largest offered on a Tesla Model X. (Indirect carbon emissions from the production of batteries in general remain however substantial and are an often overlooked aspect of the well-to-wheel carbon footprint of EVs). Best of all its cheerful face can literally light up into a friendly smile. Clean, transparent, likable - the Buzz pretty much sums up VW’s new brand positioning strategy. Only through the new MEB architecture with the battery on the floor could the iconic front looks largely be reconstructed while still adhering to today's pedestrian crash regulations. The reason why the original T1s had that essentially flat nose was due to its Beetle-like rear engine layout, which was abandoned nearly thirty years ago when the fourth generation Transporter "T4" debuted in 1990. The new Microbus will closely resemble the iconic T1 of the 1950s. Sources say the I.D. Buzz concept is very close to what could be built starting 2022. Only the retractable steering wheel and the front row of side windows, which cannot be rolled down in the concept, were show gimmicks. New elements however like the VW logo made out of glass that can light up are new styling cues that may make it into serial production. While an EV hatchback and SUV are already confirmed for the VW badge, the head of brand design, Klaus Bischoff, was worried whether the Buzz would go into production. When asked, one VW source said: "I know what you're going to ask and the answer is 2022. Diess wants it." That just leaves one question. Will VW's commercial vehicles unit profit at all from this? 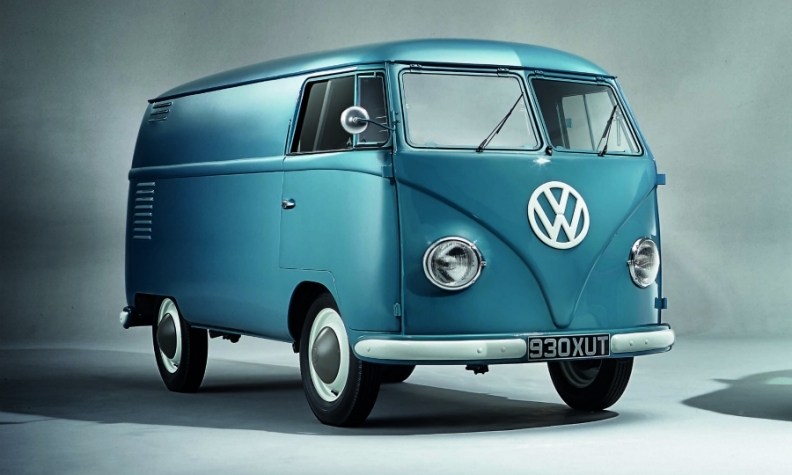 Traditionally all Transporters have rolled off the assembly line in VW's plant in Hanover, Germany, ever since the plant began operation in 1956, later expanding production to include models such as the "LT" heavy duty commercial van (now called the Crafter). At the turn of the millennium, the commercial vehicles business was then spun off into its own division, Volkswagen Commercial Vehicles, which is currently run by Eckhard Scholz.